Special occasions need special florets. That's the Hydrangea White. Known for spreading thankfulness and joy, this blossom commands the greatest attention in a simplistic, natural way. 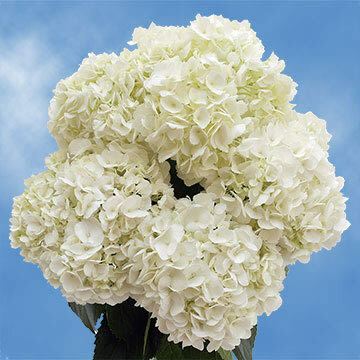 Breathtaking from first sight, It commands the spotlight at weddings, featured in centerpieces and bouquets. These blossoms are also used as "just because" florets, at dinner parties or varied social functions. Nothing is as beautiful as white decor. Clean lines and elegant finishes breathe life into the air. 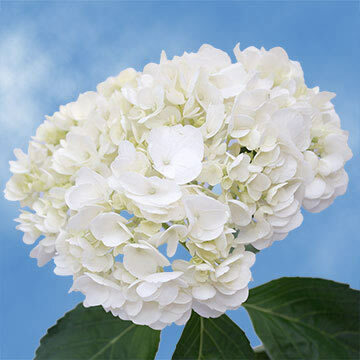 We specialize in ensuring the freshness of your hydrangea white florets. Grown and cultivated in our state-of-the-art greenhouses, our guarantee is that your orders will simulate a natural habitat year-round. You won't be able to deny the rosiness of our petals, the crispness of our blooms or the longevity of our selections. Freshly cut and shipped right to your door, we guarantee freshness from the time you receive your orders until well after all the festivities have ended. Our wholesale prices make it possible to outfit your entire event at a reasonable cost. 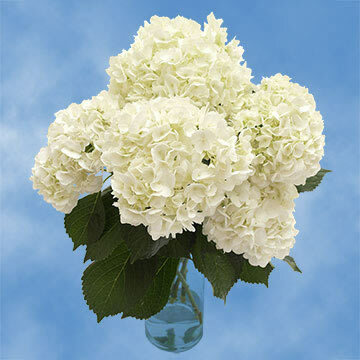 You won't find the Hydrangea White any cheaper or fresher. Globalrose makes sure you are completely satisfied with our fresh products, guaranteed to have you as a repeat customer. Fresh, raw beauty. Those are our flowers ... those are the composition of Globalrose. Enjoy!